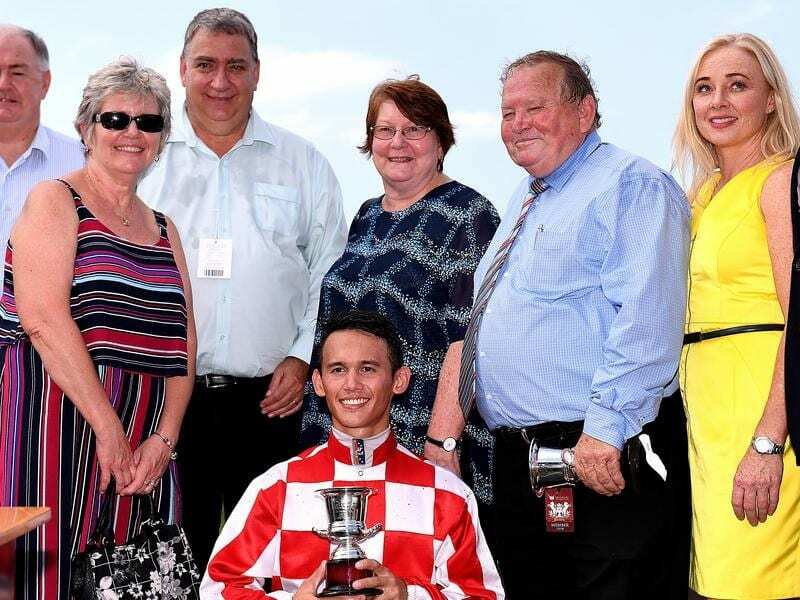 Trainer Barry Baldwin (2nd from right) has saddled The Candy Man for a freakish win at Caloundra. “We thought we had a stakes horse before his accident,” Baldwin said. “I hope he can win a good race but we will have to work on his barrier manners.